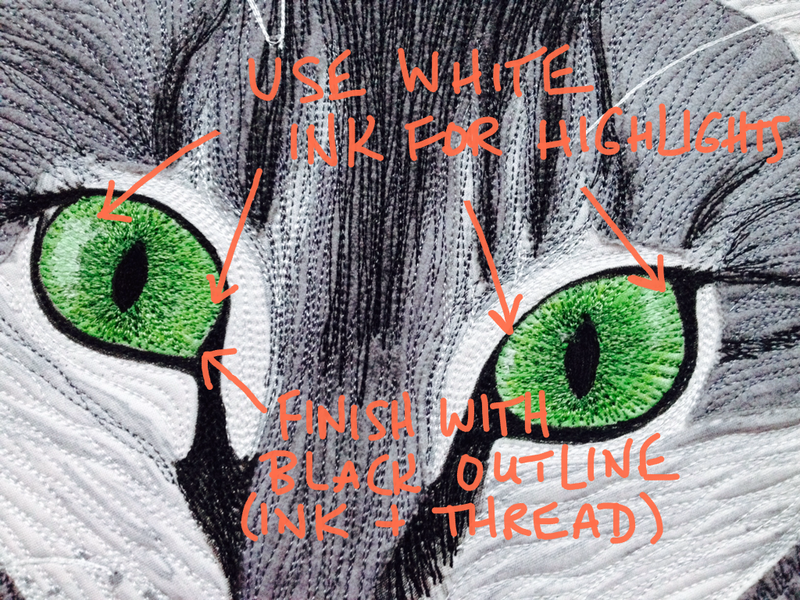 One of my favorite parts of thread-painting pet faces is inking and stitching the eyes. 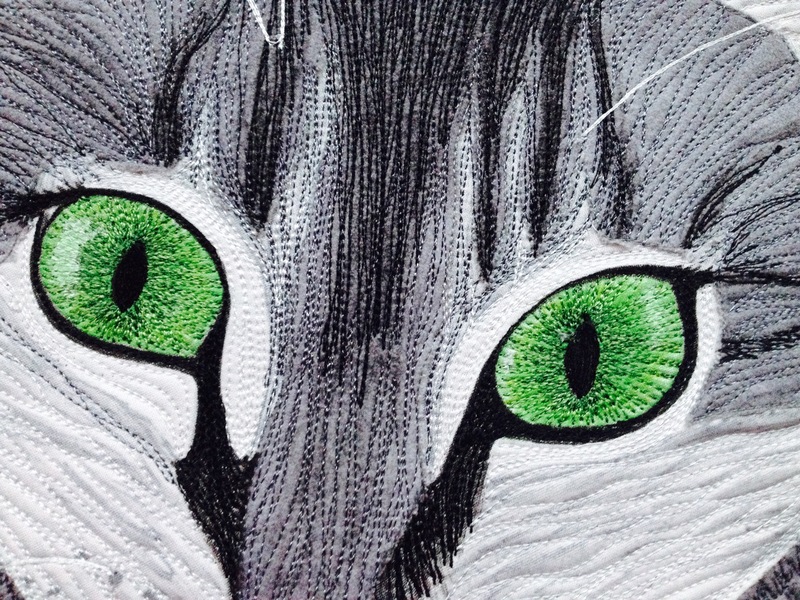 Trying to capture the soulful/mischievous/calm expressions is a very fun challenge! 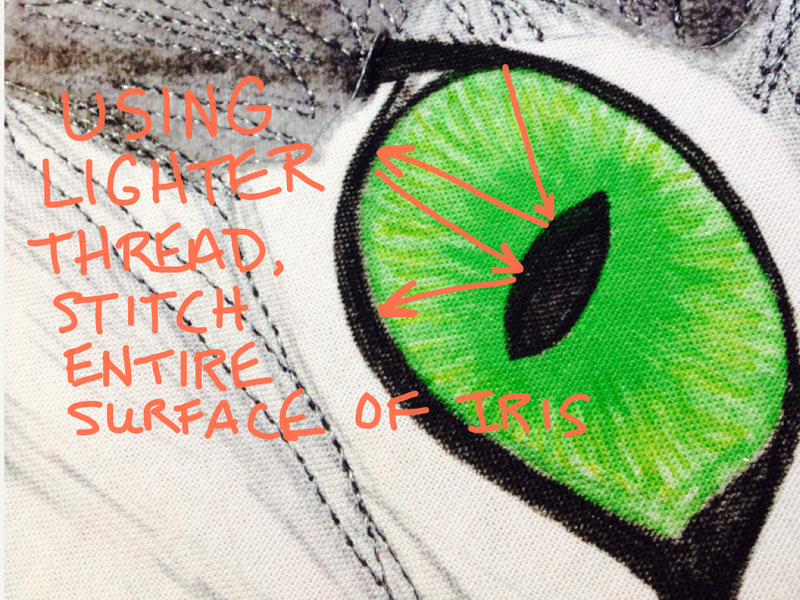 I stitch the iris first…filling the pupil in with black thread afterward can cover any errant colored stitches! 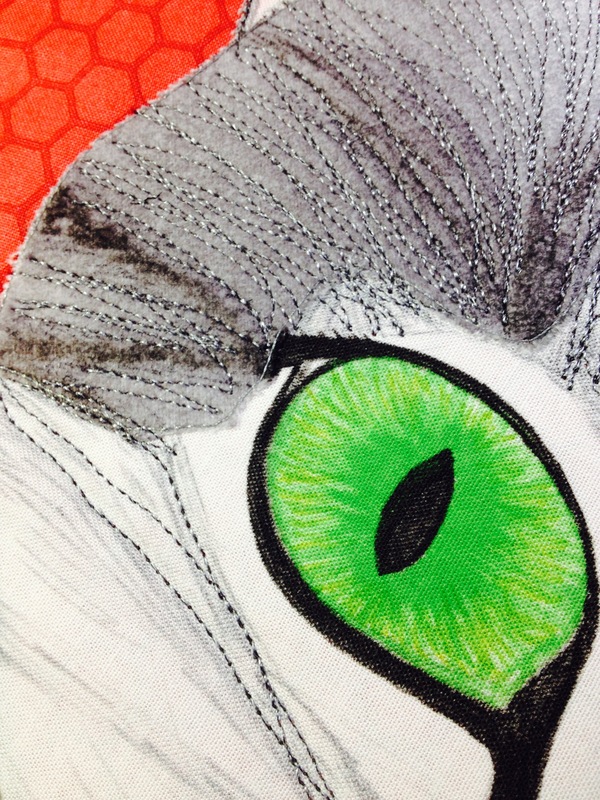 The final step is the most important–highlights. This photo was taken at midday and the highlights were in unusual places…I simply referred to the photo and touched up the appropriate areas with white ink. 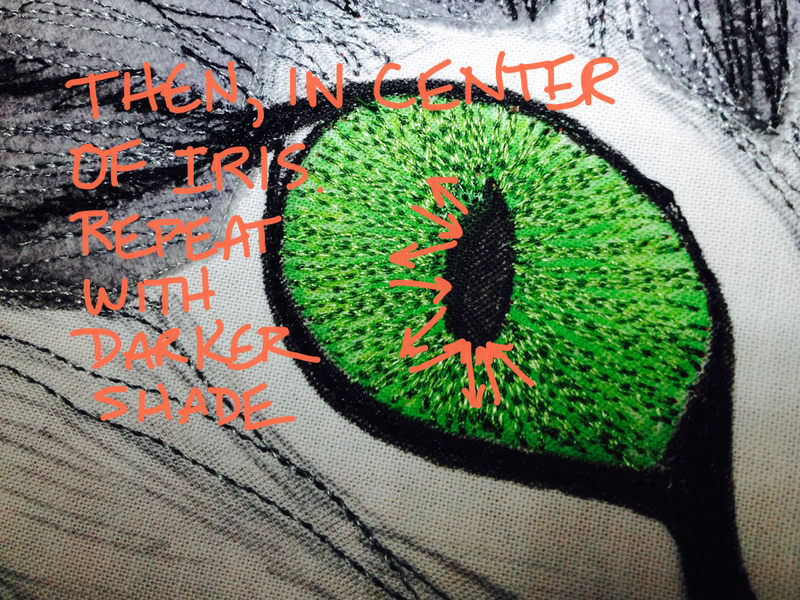 This entry was posted in Uncategorized on October 3, 2015 by neonkittyquilts.